/ Professional Teeth Whitening: Is It Worth It? Professional Teeth Whitening: Is It Worth It? If you want to whiten your teeth, you might be wondering whether you should invest in professional teeth whitening or do it on your own. Read here for more information on professional teeth whitening and whether it’s worth it. Has your smile become dull? When you’re considering brightening up your smile, you have three options. You can use an at-home teeth whitening kit, one of many natural remedies, or have professional teeth whitening done at your dentist’s office. Of course, you want the option you choose to not only be safe, but long-lasting and cost-effective. Most people swear by professional teeth whitening, but is it truly worth it? Keep reading this article and find out today! What Does Professional Teeth Whitening Entail? If you have anxiety about going to the dentist, you’re not alone. An estimated 60% of people are nervous about dental visits. However, if the cause of your visit is a whitening procedure, perhaps you will find comfort in knowing very few patients report pain or discomfort during their whitenings. In fact, many drift off to sleep or watch videos while having this done. In some cases, your dentist may focus a bright light on the teeth while the bleach is working. Although this doesn’t happen during every whitening procedure, it’s worth noting. Opinions vary, but the lighting is said to activate the bleach and improve the way it works. If your teeth are too stained for a standard whitening treatment, your dentist may suggest deep bleaching. Deep bleaching procedures are split between the dental chair and your home. The dentist will produce a mold of your teeth that will be used to design bleach carrying trays that fit snug up to your gumline. This fit will protect your gums from irritation and keep saliva from mixing with the bleach. When you return to the dentist’s office, you will have what is called a conditioning visit. This isn’t a whitening procedure. It is designed to help your teeth absorb oxygen. After this visit, your dentist will send you home with your custom whitening kit. It will include your trays and enough of the whitening agent for you to wear to bed every night for about 2 weeks. When you return to the dentist, you will do an in-office bleaching as described above. You will be instructed to continue bleaching overnight. Most patients will have to use the trays once every couple of months. However, you may have to use them more often if you’re more susceptible to staining. Because professional teeth whitening is seen as a cosmetic procedure for most insurance companies, it isn’t covered by insurance. There may sometimes be exceptions depending on your dental plan, but this is standard. Pricing also varies based on the specifics of what you are having done and your location. 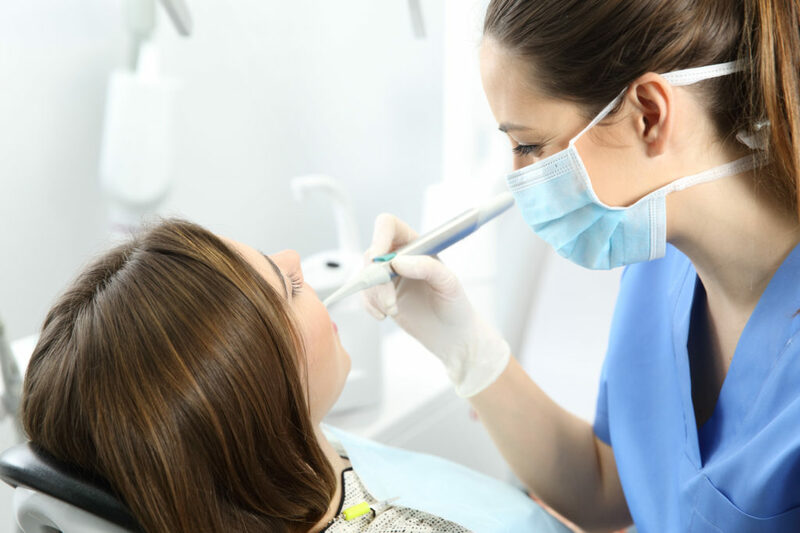 If you have your teeth whitened using any of these professional methods, keep in mind that the pricing will rarely include maintenance costs. While you’re making a decision about what whitening method(s) will work best for you, ask how much it will cost to keep your smile nice and white. Because regardless of the whitening you do, your teeth will continue to collect stains again, especially if you consume popular stainers like red wine or coffee regularly. There isn’t a straight yes or no answer to this question. Your dental needs, sensitivity, and staining will be different than another person’. Because of this, it’s important to weight your options after setting realistic goals. If you only have slight discoloration that doesn’t seem to be worsening, you should be okay using an over the counter at home whitening kit from your local drugstore. However, if you have slight discoloration and sensitive gums, you would be better have had your whitening done under a dentist’s care. This will ensure that there isn’t any irritation. And if for any reason there is, your dentist will know how to calm any discomfort. If your teeth are severely stained, you should first understand that they probably won’t become completely white. But deep bleaching will significantly improve the coloring. As you now know, the costs of tooth whitening can add up rather quickly. So, doing your research is imperative. Go to your dentist for a consultation to discuss procedures and costs. Bottom line: Professional teeth whitening is worth it when you need a dentist to monitor your gum sensitivities or you need extra stain fighting power. Consider us to be your one-stop shop for all things involving lifestyle, travel, hobbies, and more. We love providing the content and information you need while you’re on the move. Keep yourself up to date with all our new articles by following us today. Still, want to learn more about what to expect from professional teeth whitening? As always, we’ve got you covered!